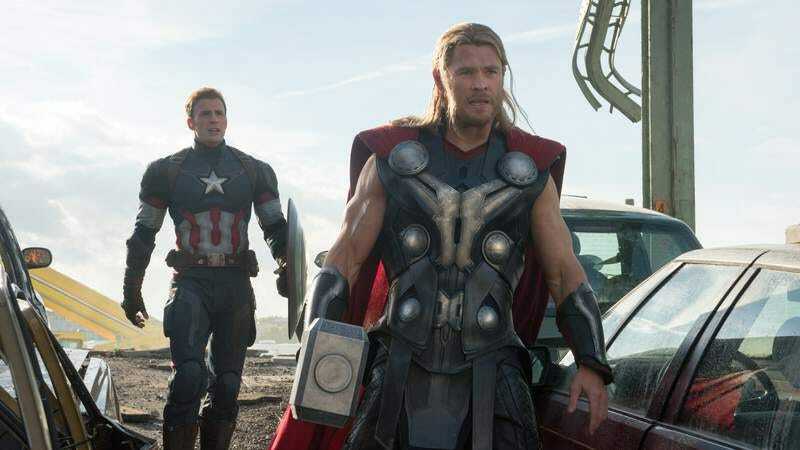 The best moments in The Avengers, Marvel’s 2012 blockbuster crossover event, weren’t the ones that pitted Earth’s mightiest heroes against an army of space invaders. They were the ones that gathered the characters in a room and pitted them against each other, the inevitable war of the worlds delayed in favor of a much more entertaining war of words. This was the doing of Joss Whedon, god among geeks, hired by Marvel to pump some humor and life into the studio’s franchise-building strategy. What the writer-director saw in the plum gig, beyond presumed bags of money, was a chance to adopt another of his dysfunctional surrogate families. He treated the iconic characters, loaned out to him for a couple of expensive hours, like neurotic people, trading as many barbs as blows. The result was a summer event movie that felt playful and idiosyncratic, even as it skillfully delivered on its mandate to be just one part of a larger whole. But Whedon, a true believer in the pleasures of comic-book storytelling, is no miracle worker. In Avengers: Age Of Ultron, his busy return engagement to the Marvel Cinematic Universe, the strain of multitasking begins to show. Even at two and a half hours, this jam-packed sequel has little room for the kind of chatty downtime—the “off” moments Whedon excels at—that distinguished its predecessor. The film doesn’t just reassemble the all-star ranks, cramming sardonic billionaire Tony Stark (Robert Downey Jr.), unfrozen super soldier Steve Rogers (Chris Evans), thunder god Thor (Chris Hemsworth), reformed assassin Natasha Romanoff (Scarlett Johansson), flinty marksman Hawkeye (Jeremy Renner), and occasional giant green monster Bruce Banner (Mark Ruffalo) back into the frame together. It also feeds supporting players, borrowed from Marvel’s various solo outings, into the franchise hub, while devoting additional screen time to the appearance of brand new characters. There’s so much ground to cover here—so many introductions to make, so much story to churn through, so many gargantuan set pieces to mount—that the movie never really finds room to breathe. Whedon, quick as ever with the quips, hits the ground running: The film opens in medias res, taking a page from the James Bond series by dropping us into an Avengers mission already in progress. Storming the castle of Hydra’s last remaining heavy, the good guys emerge with some enticing spoils, among them the unexpected key to artificial intelligence. Stark, it would seem, is obsessed with the idea of creating “a suit of armor around the world”—a kind of automated peacekeeping program that would allow him and his crime-fighting colleagues to take an indefinite vacation. The film underdramatizes the character’s weariness, but no matter; from his utopian retirement plan comes the titular villain, a disturbed robot whose plan for world peace is considerably more genocidal than his creator would prefer. If there are no more people, there are no more wars. Age Of Ultron leaps across the globe, as the Avengers hunt Ultron from New York City to Africa to Eastern Europe. Each new location is a demolition derby, a model city to be leveled during another frantic set piece. Whedon gets the elastic physical reality of comic books, and he knows how to frame a shot—like a late overhead image of the characters, arranged in a circle, attacking in every direction—as though it were a splash panel come to life. There’s also an admirable preoccupation here with collateral damage, the director going out of his way to account for the civilians caught in the crossfire. But by the fifth digital showdown, the endless CGI spectacle begins to feel a little numbing. The director might have learned something from the cleaner, more practical action of The Winter Soldier—or, were he granted an early look, the bone-crunching fight choreography of Netflix’s Daredevil. Here and there, a lull arrives like a gift from Asgard. Whedon, as if desperate to slow the pace for just a moment, has the team lay low in a farmhouse, where we learn a little more about Renner’s thinly sketched archer. Paul Bettany, the voice of Stark’s computerized butler, gets a few affecting moments of his own, including a soulful, climactic speech that artfully frames the film’s hastily posed questions about humanity’s future. Less successful is the romance Whedon devises between Johansson’s Black Widow and Ruffalo’s man-behind-the-Hulk; it’s a sweet idea pushed to the margins, where just about every plot point that doesn’t advance the overarching Marvel agenda must reside. 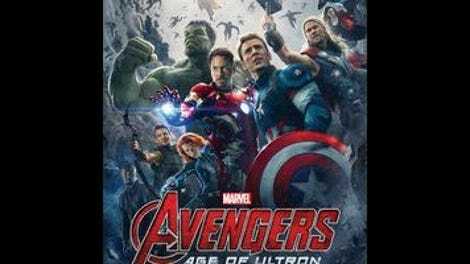 Only when Age Of Ultron stops for air—dispensing briefly with the talk of gauntlets and the setup of future installments and the collision of ones and zeros—does the chemistry among these various marquee attractions re-spark. There’s a wonderful scene, for example, of everyone kicking back in civilian gear, downing cold ones while trying to lift Thor’s great hammer. Whedon, for a hot minute, feels back in his element. Or maybe he can just relate, struggling as he is to make something very heavy look light.